Enchanted Excurse: Are You Insurgent? Afternoon Loverlies! 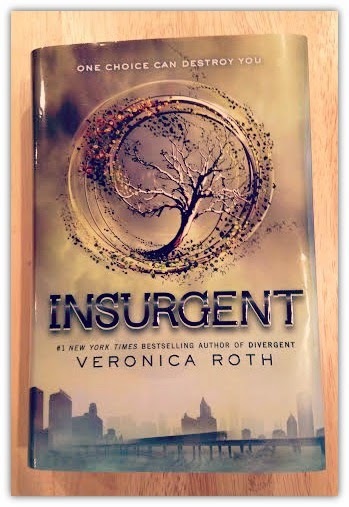 I just read Insurgent by Veronica Roth. It took me quite a bit to read, I just get overwhelmed sometimes by bigger books. Even if I am into them. lol Because I do like these series so far. I have two books I'll be reading now that I received from Bethany house, I'll be doing a review on them soon also. I might be a bit spoilerish with this, so beware. ;) Insurgent, is very emotional! There is a lot of times Tris is torn between on choosing to do what she thinks is right or follow the one she loves. When she goes for what she thinks is right she knows she could lose more loved ones then she has lost already. There are a lot of times where I felt her relationship with Tobias would falter. (They use his real name a lot more in this book.) They have a lot of times where they are fighting and it's hard for them to trust each other. But I guess it would be that way with anyone in this situation. During the whole book Tris acts as if she will break any moment. A lot of times she does come off weak, but she did just lose her family, so how else would she be acting,other then acting as someone who is deeply depressed. I thought it was odd how the writer portrayed Tris this way, but it wasn't a bad choice. It is different then what you normally would think of in a book, at least I kept thinking she would be portrayed stronger and not always on verge of breaking down. I don't see anything wrong with it though, not everyone can deal with these type of circumstances, and not every character should be written like nothing hurts them and that they can brush it off and conquer the world type of thing. That would be unrealistic. I will admit though I was so frustrated reading this book thinking, "Oh my gosh! Why did you do that! ", or thinking "Come on Tris get with the program!" Whenever I took the faction quiz for fun, I got Amity. Now reading this book, I don't believe I could easily ignore what's going on like the amity did. They basically just sat back and did nothing. I believe it would be hard to do that, but I don't know if I would go in and attack Erudite as they did either. I think I would be curious about what's out beyond the fence, like maybe there is something better out there? I don't know. I still say this trilogy is a good read, even with it's frustrations! I'm anxious to see how this book is portrayed as a movie. We shall see, I just have to be patient for the movie to come out! Ta Ta For Now! I don't know! I haven't read the series! Sounds interesting!